The new book from Scott Pape, the Barefoot Investor. 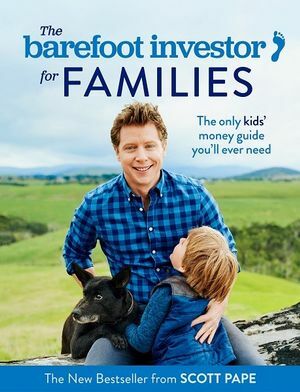 The Barefoot Investor: The Only Money Guide You’ll Ever Need is a phenomenon, sprinting through one million copies to become one of the best selling Australian books ever. Why is it so successful? It’s simple, funny and practical. And it has changed people’s lives. Scott lays out ten money milestones kids need to have nailed before they leave home, and it’s all structured around one family ‘money meal’ each week (so roughly 20 minutes). 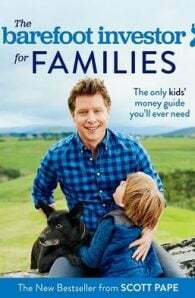 Scott’s mission is to make sure your kids are financially strong so they never, ever get sucked into the traps that middle-aged bankers have devised to rob them of their money and their confidence. Start now – it’s never too early or too late. SCOTT PAPE is the Barefoot Investor. A fiercely independent investment advisor who, for over a decade, has reached millions of Australians through his newspaper columns, and on TV and radio. In 2014 he and his family lost everything in a bushfire...but what they did next—that's the real story.